There's nothing soft about this softshell. 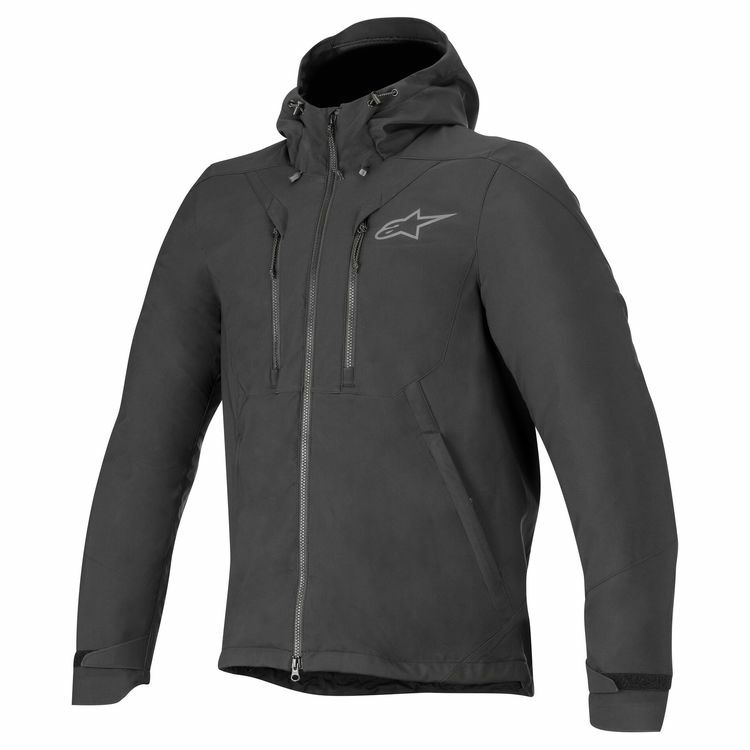 The Alpinestars Domino Tech Shell uses a water resistant softshell to protect against the elements. A non-removable hood keeps your helmet-hair dry when you're off the bike. An internal ribbed collar for the hood improves wind protection when you're accelerating away from stop signs. Pre-curved sleeves eliminate binding when reaching for your handlebars. Tasteful Alpinestars branding is subtle to keep your motorcycle identity secret when you're walking around on two feet instead of rolling on two wheels.